Area 51 IPTV – Over 700+ Channels at $5.00 Per Month! 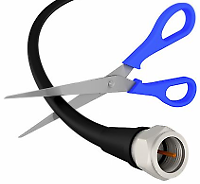 People Continue to ‘Cut the Cord’! This is a big trend all right! Digital Trends – By: Mark Austin – “Cord-cutting: if you haven’t done it yourself (yet), you probably know someone who has. The number of people who’ve said goodbye to their cable or satellite TV package — and their monthly bill — just hit another new record, and telecom companies are floundering as they try to cope with the new reality. Fortune’s analysis of a recent report from MoffetNathanson Research concluded that more than half a million customers cut the cord in the fourth quarter alone. The 3.4 percent decline in the number of pay TV subscribers is the highest since 2010. ‘For all distributors, this is mostly just varying degrees of … bad,’ Craig Moffett noted in the report. 2018 will likely be a breakout year for streaming services, as BGR summarized. Sling TV leads the pack, with 2.2 million subscribers. Hulu’s live streaming has about 450,000 subscribers, and YouTube TV boasts more than 300,000, according to CNBC. Customers of the five top internet TV providers has more than doubled, from 2 million in 2016 to nearly 4.6 million at the end of 2017. The research doesn’t include people who never signed up for cable in the first place, younger viewers known as ‘cord-nevers’ rather than ‘cord-cutters.’ From a high of 88 percent in 2010, the number of households who pay for cable or satellite TV service has declined to 79 percent in 2017. The cable TV exodus is being reflected in stock prices as well. Comcast and Verizon are both down 9 percent in 2018, and AT&T shares have lost 6 percent. Streaming services may not be generating much profit, however. An average streaming bundle is around $30-$40, while a standard cable package is about $100. Because they have a regional monopoly, cable companies can negotiate lower prices with content providers. Streaming services, on the other hand, have transparent pricing models and must compete with each other for a nationwide audience. Lot’s of new Cable Cutters out there! Dish says that Sling TV accounts for 2.212M of its 13.242M Pay-TV subscribers, and told us that this represents 47% growth year-on-year. This contrasts with its legacy satellite TV service, which lost more than a million subscribers in the course of the year. The company says that Sling TV remains the #1 live and on-demand Internet streaming service. Average revenue per user across its entire subscriber base fell slightly to $86.43. Sling TV brought its cloud DVR feature to Apple TV back in April of last year, with support added to iOS devices a couple of months later. SlingTV – HBO & Cinemax Are FREE This Weekend Only! This may be the Weekend to try SlingTV! TV without Cable – Over 90% of households can get free over-the-air TV. Can you? The average US household’s cable bill is $123 (a month.) This means you can save over $1,400 a year by simply dropping Cable TV. Cable companies are allowed to downgrade their service by 30% to save on transmission costs. OTA (“Over the Air”) doesn’t have this problem. 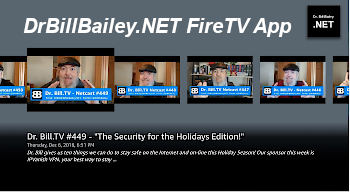 Watch anywhere on Roku, iOS, Android Chrome, and Web. Watch shows live or binge later. Save every episode of your favorite shows for 30 days. Stream in HD on up to 3 devices at once. To start watching, you’ll need: A mobile phone number (to identify you), a broadband internet connection, and a supported device. Philo is currently available on: Mac and PC on a web browser, Apple iPhone and iPad (running iOS 9 or newer), Android phones and tablets (running Chrome 54+ and Android 7.0+ newer), and Roku (more devices coming soon). Enter your phone number to sign in and get start your trial. We’ll check back later to get your billing information, to unlock your full 7 days of free access. After your trial, your subscription begins. You can cancel at any time, and your card will never be charged if you cancel before the end of your free trial. Our basic set of channels is $16 per month, as a subscription, with more channels available for an additional $4 each month. There is no other cost or contract. After your free trial, you can cancel or restart your subscription yourself, any time, as many times as you wish, via our account page. Can I record live TV or future shows to watch later? Yes, you can save your favorite shows to watch up to 30 days later. Yes, you can watch different shows or channels (or the same show or channel) on up to 3 devices at the same time. Tired of strange things in online television? Everything feel like a mishmash of chopped up services and bad things that break? Philo is building a better platform for TV on the Internet, right here in Silicon Valley. 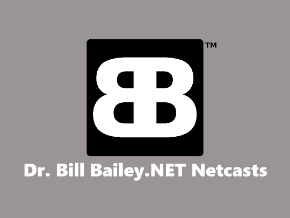 We are creating the next generation of TV, connecting friends with a big bang of technology. USA Today – By: Mike Snider – “The streaming video binge-fest shows no sign of slowing down. Expect plenty of developments in 2018 as more viewers turn to the Internet for their TV entertainment as more subscription services attempt to woo them. Two trends power the ongoing TV transformation: the growing number of U.S. homes with high-speed broadband Internet service and the slow decline in homes with traditional pay-TV service. About 82% of all U.S. homes get broadband now, up from 76% in 2012, according to the Leichtman Research Group. And broadband homes (94.5 million) now eclipse the number of homes with traditional pay TV (about 92.2 million), the research firm says. Meanwhile, pay-TV providers overall continue to lose subscribers. About 405,000 signed off in the third quarter alone. However, the growth in broadband-delivered live TV services such as Sling TV and DirecTV Now is helping offset those losses. More than 2.5 million now subscribe to them, Leichtman Research says. What else can streaming video devotees expect in 2018? Rise of the skinny bundles. Those seeking to cut the cord or increase their streaming options could have even more broadband-delivered live TV choices in the months ahead. The virtual-TV competition truly heated up in 2017. In March, Google joined the fray with its $35 monthly YouTube TV service, complete with more than 40 live TV channels. Two months later, Hulu began offering more than 50 live TV channels ($39.99 monthly) in addition to its subscription on-demand programming from major networks and its own originals (starting at $7.99 monthly with limited ads). Also new on the scene: Philo, a $16 monthly entertainment-focused service launched last month with more than three dozen channels including A&E, AMC, BET, Comedy Central, Discovery Channel, HGTV and OWN — notably absent are sports and news. Sports-oriented fuboTV ($39.99 after two months at $19.99) has grown from a soccer-centric streaming service two years ago to now offer more than 65 channels including Fox and NBC broadcast, news and sports channels. A new livestreaming TV service called Philo launches today, and it’s sure to get the attention of people sick of paying high cable bills for channels they don’t watch. Already up and running were Sling TV (starting at $20), launched by Dish Network in Feb. 2015, and Sony’s PlayStation Vue ($39.99 and up), which debuted a month later. AT&T, which acquired DirecTV in May 2014, began offering its DirecTV Now service ($35 and up) in November 2016. A possible new player is Amazon, which could attempt to deliver its own live TV service as a way to accelerate allegiance to its Amazon Prime service ($99 annual fee) and eventually monetize advertising, says Joel Espelien, an analyst with Plano, Texas-based research firm The Diffusion Group. Amazon already makes available to Prime subscribers thousands of TV episodes and movies including original content and NFL Thursday Night Football. A bigger play by Amazon would be ‘tremendously disruptive’ and likely cannibalize current and future subscribers to other services, Espelien says in a recent research note. The extent to which current traditional pay-TV subscribers move to virtual Net TV services in 2018 will likely dictate whether broadband TV solidifies ‘a position as either the low budget-end of the pay-TV market or (as) a force of radical change in the U.S. pay-TV industry,’ said Brett Sappington, senior research director for Parks Associates, a research firm in Addison, Texas. Competition for content. Look for streaming services to try to lock down rights for coveted TV series and movies that will keep subscribers on board, with Disney planning its own subscription video offering sometime in 2019. It’s already a crowded marketplace, with more than 200 streaming services available to subscribers, according to Parks Associates. Netflix is the leader — Amazon, Hulu and MLB.tv. hold the next three spots — and to maintain its dominance it plans to ramp up content spending to as much as $8 billion in 2018. That will likely be needed as Disney CEO Bob Iger has said in the buildup to launching its own service that the entertainment powerhouse plans to be selfish in licensing its current content and well as fare it gained from the $52.4 billion bid for much of 21st Century Fox including its TV and movie studios. Netflix has already signed several creative deals, including one with Scandal and Grey’s Anatomy creator Shonda Rhimes. Meanwhile, Amazon Studios’ landed The Walking Dead creator Robert Kirkman and Skybound Entertainment, the entertainment company he founded with producer David Alpert, to a two-year deal developing exclusive TV series. And Hulu has become a force to be reckoned with, with its The Handmaid’s Talewinning five Emmys in September. Watch for more players to enter the content creation arena, just as Apple has done and is expected to invest about $1 billion in 2018. DirecTV Now or Sling are among those that could begin offering ‘some type of original content of their own,’ Espelien said. Partnerships and, perhaps, attrition. With so many services available and more on the way — including ESPN Plus in early 2018 — some smaller or niche offerings may need to team up to survive. A recent PricewaterhouseCoopers survey found cord cutters have three services on average, but they only watch two of them on a regular basis. Cord-trimming super-users (who also have slimmed-down traditional pay TV service) foot the bill for more, four services on average, but they still only watch two on a regular basis. Geek Software of the Week: TeaTV! 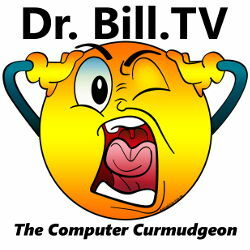 In our quest to find ways to cut the cord… of cable, that is… I’ve been looking into various applications that would give you access to TV shows and movies via the Internet. Not all are completely legal and licensed, so you have to be aware of what you have legal access to and what you do not have legal access to. This is a decision you will have to make personally, and become compliant to the law personally. However, I would be remiss from a technical point of view if I did not share with you all the options you have for viewing programs and let you decide how to best apply your own moral principles. One of the most interesting applications that I’ve found, is TerrariumTV, it does however have it shortcomings, not the least of which is all the ads that are shown in TerrariumTV. I realize that the author of the software has to monetize his application as best he can, but the ads that come up in TerrariumTV seem more annoying than most! This led me to a new application, called Tea, (as in the drink,) TV. What is TeaTV? It is an application that does what TerrariumTV does, but with better features, a cleaner interface, and it appears to me, way less commercials than TerrariumTV. The cleaner interface is much easier to use, and the additional information provided, such as information on the actors that are featured in TV shows and movies, is welcome as well! If you go under the “Settings” option within the software, you also have the option to clear the cache of the application, which will free up resources on your device as well as help with any issues that you may encounter when using the software. I have found this very useful during my testing. 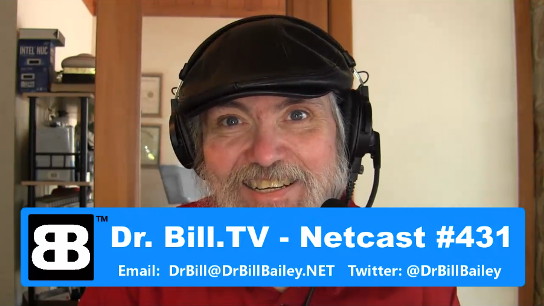 I’ll do a demo video on the Dr. Bill.TV show to show you what I mean. Stay tuned for that! In the meantime, here is the link to TeaTV. You will notice that there are versions for Windows, MacOS, Android, and Linux! You have to love that! It is truly a cross-platform application. It provides almost any TV shows and movies. Many genre such as Drama, Crime, Comedy, Adventure, Family, Horror, Thriller, Romance, Western, Animation, Biography and more.